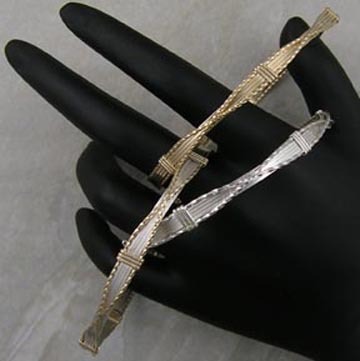 This is a simple wire wrap bangle using sterling silver wire, rolled gold wire or a combination of both. Perfect to wear everyday. Width of bangle is 5 mm. Just select your wire preference and specify your wrist measurement and this bracelet will be made to order. Gold or combination bangle is $35.00.